Ancient Greece began to colonize the eastern Mediterranean in the 8th century BCE–just after it emerged from its dark ages. This movement had a lot to do with shaping thought in Western civ–we owe a lot to those brave people who loaded their worldly goods onto ships and headed out to sea. So we’ll honor them by getting on board and exploring their world. 1. People in the last generation of the 8th century BCE founded a new settlement in Sicily and southern Italy about every 2 years. Greeks kept establishing them there until the 5th century BCE. 2. 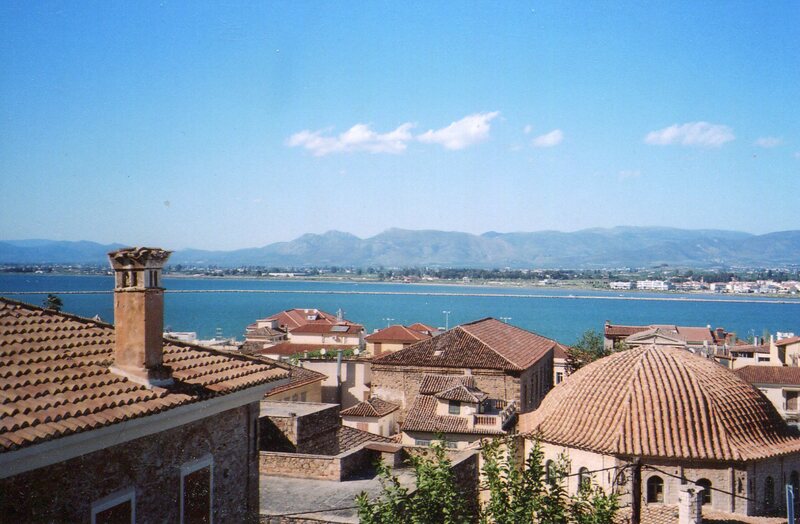 Many of the first settlers came from the island of Euboea, where population and political pressures forced people to move. But Corinth, Sparta and Megara also founded early colonies. 3. 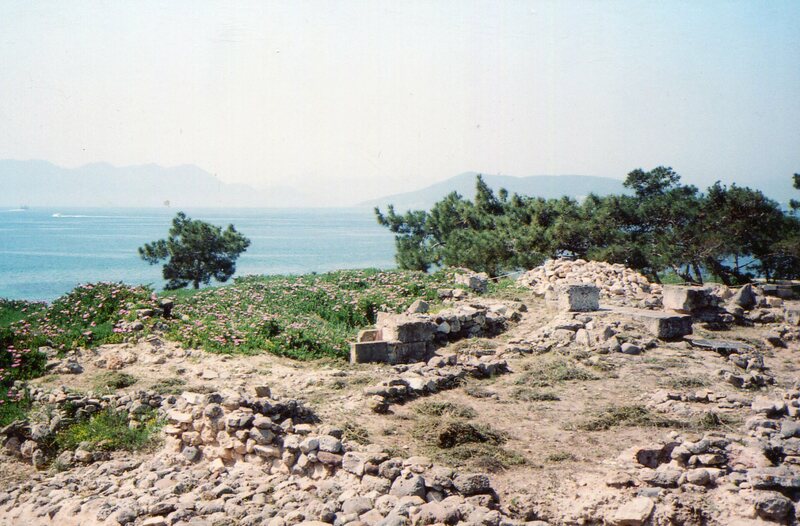 Ancient Greek cities founded colonies for 2 main reasons. One was the need to ease population pressure. The other was trade. In contrast with ancient China, commerce was central in ancient Greece, and it helped shape Western thought. 4. 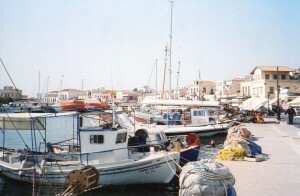 The ancient Greek word for colony was apoikia. It literally meant home away from home. Carla M. Antonaccio, in The Cambridge Companion to Archaic Greece, felt that this word captures the movement’s spirit. The new cities were founded in environments similar to those of the mother cities–they hugged coasts of the Mediterranean, Adriatic and Black seas. Most of the capital cities in China’s history have been inland, but the sea was a common sight in ancient Greece. 5. All Greek colonies were politically independent from their mother cities. Many kept religious ties and pledged political support, but Antonaccio stresses that cities didn’t found colonies to create empires. 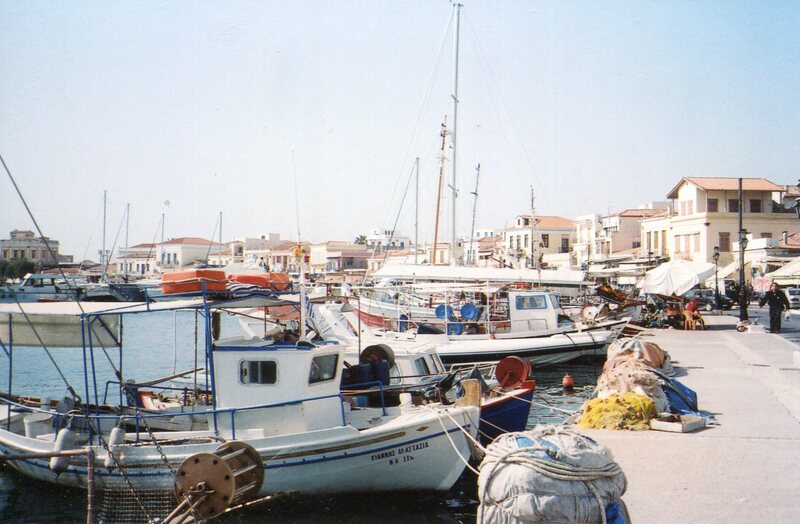 Ancient Greece thus quickly became a geography of distinct places. Ancient China developed concepts of reality as a unified field, but the Greeks partitioned their world into distinct domains. Other currents also encouraged the ancient Greeks to see the world in these terms–a culture’s basic assumptions have many dimensions. But the colonial experience was as important as any. 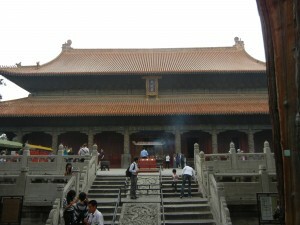 In ancient China, the great hall in a palace’s main courtyard became a model of centralized order. This model also structured religious thought, and it became standard in temple architecture–the Temple of Confucius commands the perspective in the above photo. But experiences that ancient Greeks shared included coastlines, sea voyages, cities as distinct places, and traders sailing between cities. Both cultures’ views of the world emerged very early, and they converged from many dimensions. Ancient Greek politics was yet another dimension in the West’s ways of seeing. If you’re up for a really adventuresome voyage, you can explore ancient India.